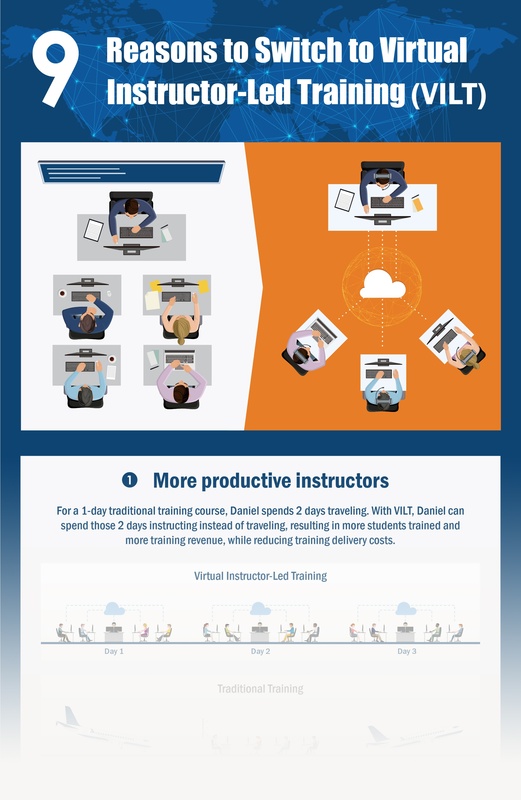 If you're wondering why training departments are switching from in-person instructor training to virtual instructor-led training (also known as VILT), then you'll find this infographic useful. Download this infographic to learn about the 9 drivers prompting training departments to switch to VILT. Some of these reasons might be familiar to you — VILT makes instructors more productive and lowers training delivery costs — but the other drivers might surprise you.